Intense and dramatic photo poster that takes us on a journey back in time, maybe to a magical place. The print makes a beautiful art piece in any room. It sparks the imagination and inspires stories for any little train driver. With great feel for both photography and image processing, Johan Lennartsson creates his photo art. The original photo captures the steam engine “Lennakatten”, a heritage railway connecting Uppsala and Faringe in Roslagen north of Stockholm. 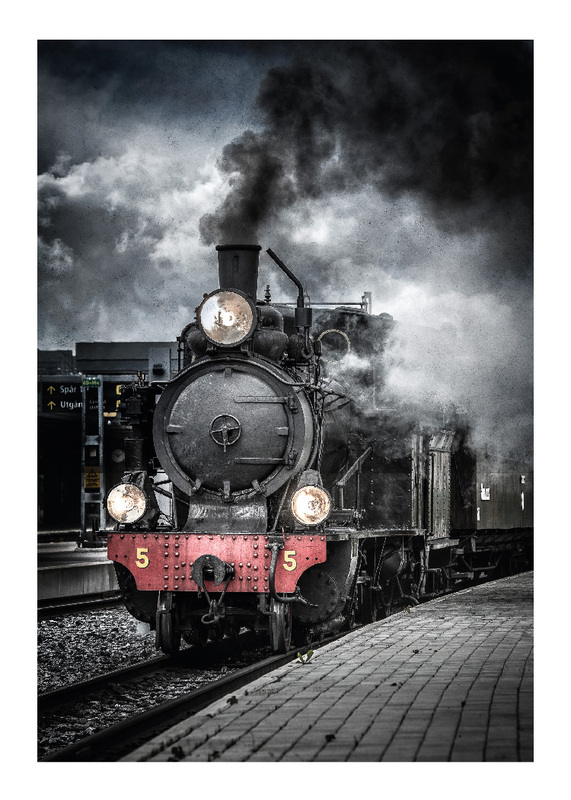 The train poster makes a beautiful art piece framed and combined with other posters and photo art on a gallery wall.